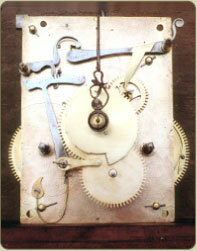 Restoration of Movements and Dials - J.Malcolm Wild, F.B.H.I. 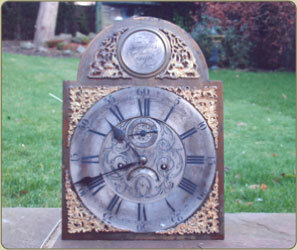 - Sheffield - England - Clock Restoration, Repairs, Tools and Parts. Malcolm Wild, A fellow of the British Horological Institute & his team of hightly skilled restorers carry out restoration work on all types of antique clocks, movements and dials. Where additional skills are required, such as Gilding, Enamel Dial restoration and cabinet work on cases, qualified specialists are used. 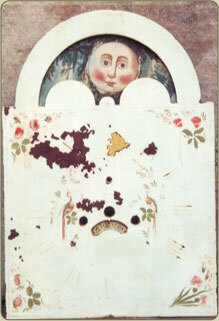 Typical 8 day long case movement before and after restoration. 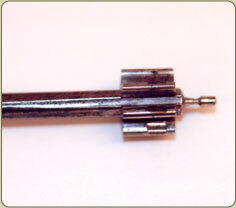 The movement is stripped & cleaned all train holes checked & re-bushed if required, all pivots burnished. 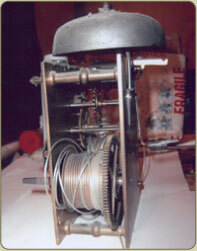 The escapement is checked & adjusted. 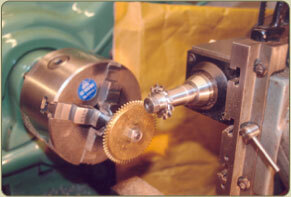 New gut line is fitted & the movement is re-assembled, oiled & tested. Normally, after the work is completed it would be delivered & set up at the customers’ house / premises. 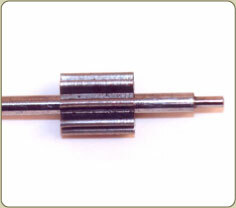 and a pinion head is fitted as it is important to preserve the originality of the movement as much as possible. 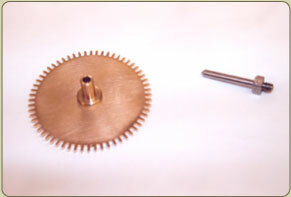 Long case Brass Dial Restoration - The Dial is stripped down. The chapter ring is re-silvered. 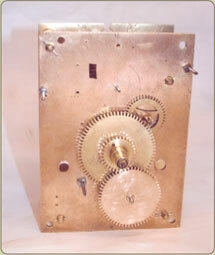 - All brass work is polished and re-lacquered and hands are re-blued. 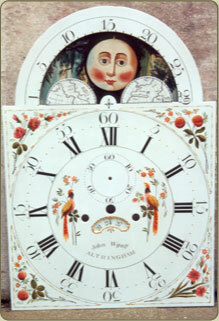 Painted dial restoration is carried out by one of our specialists. Below shows before & after, all work has been carefully restored ensuring the original detail is retained. 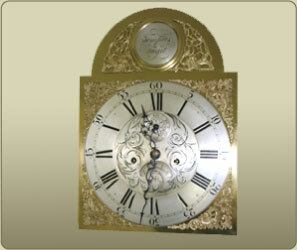 We carry out work on all types of clocks Including: Long case, French Mantel, Early English Bracket, French Carriage, Skeleton Clocks etc… We also repair modern I.e. 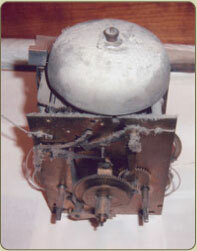 Hermle, Keininger stiriking & chiming clocks etc. Please contact us for a quotation /estimate.